The day after my friends and I visited Joy Creek they celebrated their 20th anniversary with a garden party (of course !) and a cake in the likeness of their logo. I salute any successful horticultural endeavor , especially those with beautiful display gardens. 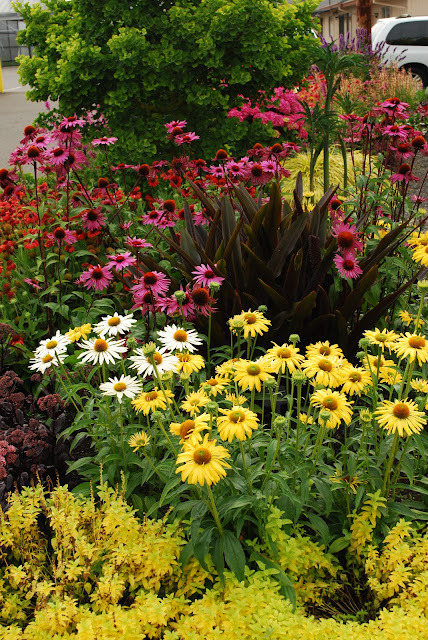 And speaking of display gardens , these were in their high-summer glory for our visit . 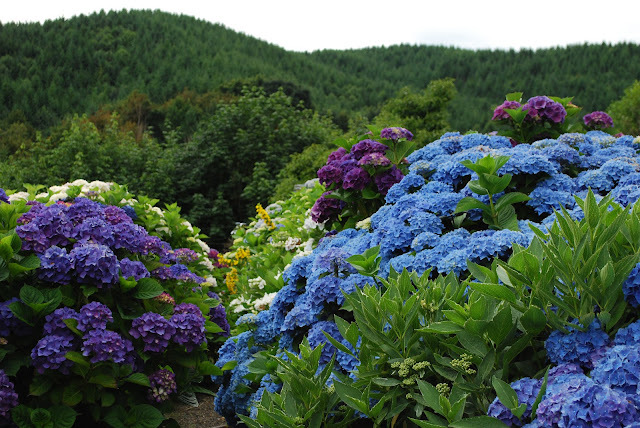 Ever been in a Hydrangea grove ? It's dramatic. A travel companion raises the arms for rescue..drowning in hydrangeas ! But the Hydrangeas are not the only attraction. Joy Creek has one of the finest selections of Clematis on the west coast , especially since the demise of Chalk Hill. And lots of other stuff too..
A friend in the wholesale nursery business who could not join us this year on the annual garden tour, stepped up to the plate and facilitated a visit to Terra Nova Nursery in Oregon. I took so many photos here I think it may be a duo-post; for this one I'll just let the pictures do the talking. Hotcha ! 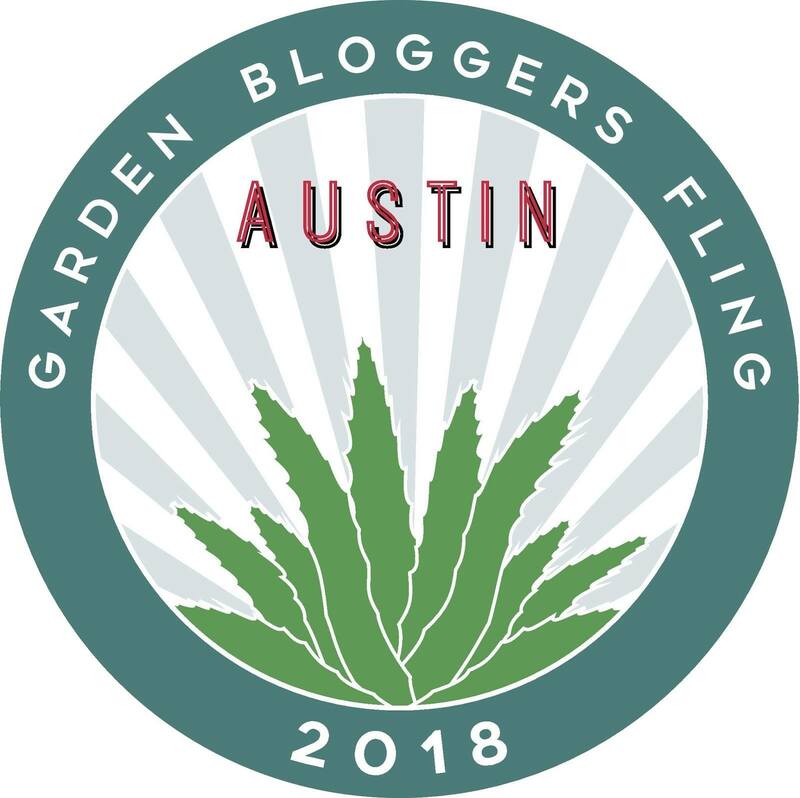 Less than a week has gone by since my friends and I kicked off our annual garden tour extravaganza; so many gardens, so many great meals, so much wine...is there anything better ? This year we traveled to the Pacific Northwest, and the first stop on the agenda was a visit to the Danger Garden. The cameras were clicking madly before Loree even got out the door. I think we all agreed, no matter how well done the photos we've seen of this garden, only an in-person visit can do it justice. I mean it was just, well, bitchen.Totally. No need to look at the address ..this must be the place ! The New England delegation is pondering their micro-climates-Tetrapanax envy. Elegant. Out of focus-I guess I need to go back. It's all just perfect ! Thank you Loree for inviting us into your special world. 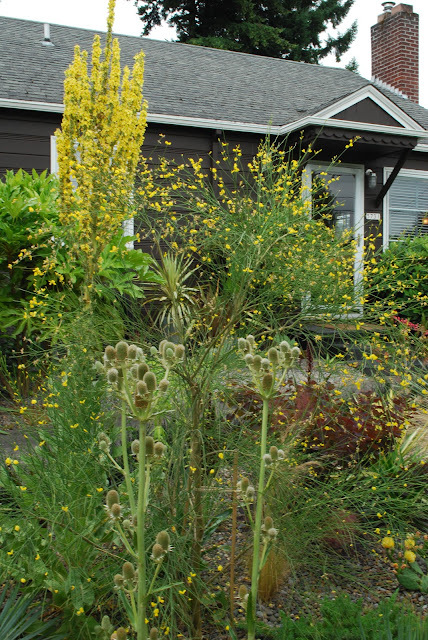 No shortage of happenings this month , as the garden is full of satiated bees and hummers. 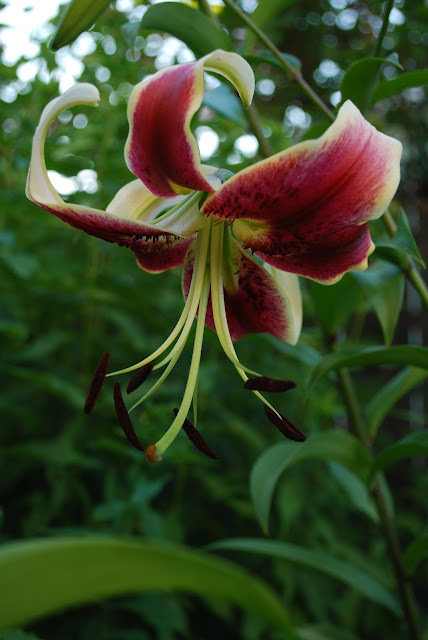 The Lilies are are beginning their peak season,, this is 'Scheherazade' an Orienpet hybrid from The Lily Garden.This is my number one go-to grower for Lilies, I can always find a spot to pop in another one . One of my favorite grasses Chasmanthium latifolium. Variegated foliage kicks this Lantana up a notch. Tipping the hat to Carol at May Dreams , our hostess for this monthly visit to blooming gardens around the globe. 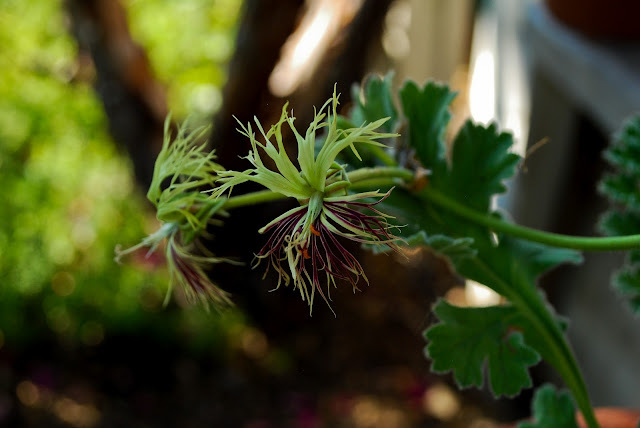 Purchased from Robin Parer several years ago at the San Francisco Garden Show, this rizome-y rooted Pelargoniums' brief bloom cycle is anxiously awaited here each summer. Allegedly night-scented , I have never detected a fragrance. 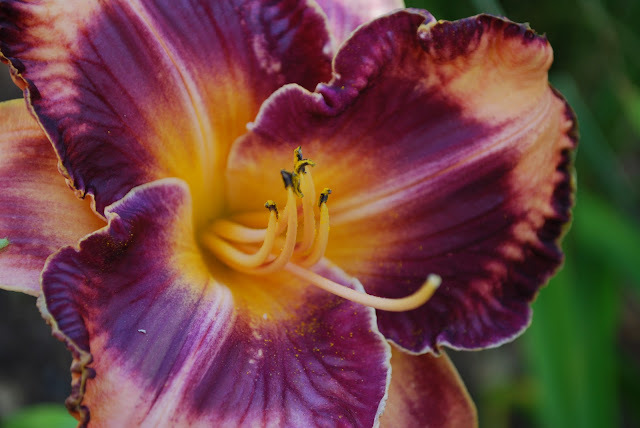 Several years ago I innocently wandered on to the Daylily forum on GardenWeb, never suspecting that I was about to be sucked into the vortex of High Maintenance. Ironic I know- for I am a high maintenance gardener --I would rather deadhead and water containers than dust and vacuum any day. But there is a limit-a high limit mind you, but a limit none the less.